Christian greetings in the precious Name of our Lord Jesus Christ; we are particularly pleased to welcome YOU to fellowship in God's unchanging Word. While the world is gathering to Armageddon, we are marching to Zion, to the city of the living God, the heavenly Jerusalem, and to an innumerable company of angels. Christ's end-time Bride is living in an evil yet glorious day; with sure revelation we see the prophecies of God's unfailing Word coming to pass in real time and "look up, for our redemption draweth nigh". November 3, 2013  Since World War II, Israel has bombed, invaded and occupied more countries in the Middle East and Africa than any previous colonial power, except the US. The list of Israel's victims includes: Palestine, Syria, Lebanon, Egypt, Iraq, Jordan, Sudan and Yemen. If we include countries where Israel has launched quasi-clandestine terrorist attacks and assassinations, the list would be greatly expanded to include a dozen countries in Europe and Asiaincluding the US through its Zionist terror network. Israel's projection of military power, its capacity for waging offensive wars at will, is matched by its near-total impunity. Despite repeated violations of international law, including war crimes, Israel has never been censored at an international tribunal or subjected to economic sanctions because the US government uses its position to veto UN Security Council resolutions and pressure its NATO-EU allies. Israel's military supremacy has less to do with the native techno-industrial 'brilliance' of its war-mongers and more to do with the transfers and outright theft of nuclear, chemical and biological technology and weapons from the US (Grant Smith "Ten Explosive US Government Secrets of Israel" IRMEP). Overseas Zionists in the US and France have played a strategic (and treasonous) role in stealing and illegally shipping nuclear technology and weapon components to Israel, according to an investigation by former CIA Director Richard Helms. Israel maintains huge nuclear, chemical, and biological weapon stockpiles refusing any access to international arms inspectors and is not obliged to abide by the non-proliferation treaty, because of US diplomatic intervention. Under pressure from the local 'Zionist power configuration' (ZPC), the US government has blocked any action which might constrain Israel's production of weapons of mass destruction. In fact the US continues to provide Israel with strategic weapons of mass destruction for use against its neighborsin violation of international law. US military aid and technology transfers to Israel exceed $100 billion dollars over the past half century. US diplomatic and military intervention was crucial in rescuing Israel from defeat during the 1973 war. [Jewish] US President Lyndon Johnson's refusal to defend the unarmed intelligence ship, the USS Liberty in 1967, after it had been bombed and napalmed by Israeli fighter planes and warships in international waters, constituted a tremendous victory for Israel thanks to Johnson's Zionist advisers. Because of its impunity, even in killing American servicemen, Israel has been given a free hand to wage aggressive wars to dominate its neighbors, commit acts of terrorism and assassinate its adversaries throughout the world without fear of retaliation. Israel's uncontested military superiority has converted several of its neighbors to quasi-client collaborators: Egypt and Jordan have served as de facto allies, along with the Gulf monarchies, helping Israel repress the region's nationalist and pro-Palestinian movements. The most decisive factor in the rise and consolidation of Israel's power in the Middle East has not been its military prowess but its political reach and influence via its Zionist agents in the US. Washington's wars against Iraq and Libya, and its current support of the mercenary assault against Syria, have destroyed three major secular nationalist opponents of Israel's hegemonic ambitions. October 18, 2013  Justification for NSA funneling raw intelligence on Americans to Israel. If former NSA contractor Edward Snowden has taught Americans anything, it is that "unknown knowns" are usually even worse than many might have first imagined. Some careful observers knew about massive NSA surveillance, while others alerted the public about the danger of "backdoor" US intelligence flows to Israel. But who ever suspected the NSA was shipping wholesale raw intercepts gathered on Americans to Israel under a secret deal struck in 2009? No government that wholly denies such relevant information can claim legitimacy via consent of the governed. There can be little doubt why these ten files are kept closed: it serves the Israel lobby. The means by which this closure is sustained is also no secret. The millions of dollars that line politician's pockets promote media pundits and quietly spirit political appointees into key gatekeeper positions maintain closed files and prevent informed public debate. Because of this, Americans should proceed assuming the worst conceivable, most logical explanation for any given US-Israel "unknown known" is correct—until proven otherwise. Under this guideline, it is prudent to believe that [treasonous Jewish President] LBJ—properly warned by his intelligence services and advisors that Israel was stealing the most precious military material on earth from America—was simply too marinated in Israel lobby campaign cash to faithfully uphold his oath of office. It is similarly reasonable to believe the Justice Department and FBI won't release Israeli spy files because Americans would finally understand that, despite massive ongoing harm to America, political appointees in the Justice Department thwart warranted prosecutions. DOJ finds it much easier to stay "on message" through a long line of lobby-approved but mostly bogus "Islamic terrorism cases" (many made via sketchy undercover informants goading members of targeted minority communities into "terror" plots). According to its own records, every time it tried to uphold the law in the 1940s the DOJ suddenly found itself internally and externally swarmed by Israel lobbyists with inexhaustible financial war chests and legal experts working to quash warranted prosecutions in secret coordination with Israel. The DOJ now likely believes it can never win against Israel lobby generated media and political agitation when it moves to prosecute, and has now simply given up. . . Comment: Edward Snowden has performed a great service by illustrating the Talmudic subterfuge of non-Semitic Israelis whose open boast is "By way of deception thou shalt do war"a rebuke to the God of Abraham, Isaac and Israel. 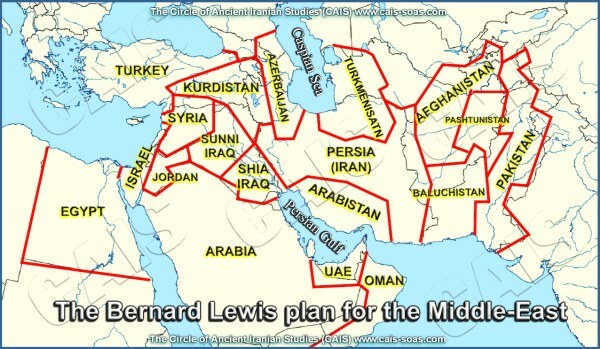 September 20, 2013  The Yinon Plan, named after Israel's minister of foreign affairs at the time of the 1982 invasion of Lebanon and occupation of Beirut, with about 25,000 dead, this divide-and-rule geostrategy plan for the MENA (Middle East and North Africa) lives on. Already victims of this strategy since 2011operated by Israel, the US and Saudi Arabiawe have the divided and weakened states of Iraq, Libya, Yemen and Syria. Egypt and even Tunisia can also possibly be added to the list. Others can be identified as likely short-term target victim countries. Comment: A clear demonstration that the united States of America continue to be obedient puppet colonies of the Jews' City of London no less than Britain, Canada, Australia, etc., dividing and conquering themselves under treaties with the Jewish criminal United Nations Organization employing the cannibalizing technique domestically that so-called 'Free Trade' agreements employ globally. China has sent a blunt message that the Asian NATO policy Australia is part of, in blind support of the [City of London's puppet colonies] US and Britain and targeted at China, is pushing the Asia-Pacific dangerously close to thermonuclear world war. All major Chinese state-run news outlets last week published major articles and detailed maps, pictures, photographs and graphics, showing the ability of the Chinese Navy, especially their strategic submarine force, to attack the West Coast of the United States. They also identify 7,500 Intercontinental Ballistic Missiles which could reach most population centres on the East Coast via the Arctic. October 25, 2011  There is a historical "eight hundred pound gorilla" lurking in the background of almost every serious military and diplomatic incident involving Israel, Turkey, Iran, Saudi Arabia, Iraq, Greece, Armenia, the Kurds, the Assyrians, and some other players in the Middle East and southeastern Europe . . . the centuries-old political and economic influence of a group known in Turkish as the "Dönmeh" . . . The Donmeh sect of Judaism was founded in the 17th century by Rabbi Sabbatai Zevi, a Kabbalist who believed he was the Messiah but was forced to convert to Islam by Sultan Mehmet IV, the Ottoman ruler. Many of the rabbi's followers, known as Sabbateans, but also "crypto-Jews," publicly proclaimed their Islamic faith but secretly practiced their hybrid form of Judaism, which was unrecognized by mainstream Jewish rabbinical authorities. Because it was against their beliefs to marry outside their sect, the Dönmeh created a rather secretive sub-societal clan. October 30, 2013  De-Zionization of the US and European foreign policy as well as the internal policies of the State of Israel has become a prerequisite for peace in the Middle East is steadily taking roots in Israeli and world public opinion and consciousness. In his article published by Foreign Policy on last October 25, James Traub quoted US President Barak Obama in a speech last May, "announcing a re-formulation of the war on terror," as saying: "We cannot use force everywhere that a radical ideology takes root;" the only alternative to "perpetual war" is a sustained effort to reduce "the wellsprings of extremism." Comment: The mood is changing; there can be no place for political Zionism in Lucifer's totalitarian one world government: the end of the Gentile dispensation of grace and "the time of Jacob's trouble" is at hand. November 3, 2013  Developed in 1988 by the United Nations Environment Programme and the UN's World Meteorological Organization, the Intergovernmental Panel on Climate Change (IPCC) just published its Fifth Assessment Report  and maintains its silence on military weather modification applications which continue to skew the data. "Extreme weather and climate events" are linked to climate change while no mention is made of government programs deliberately aimed at modifying the weather and inducing earthquakes, drought, rain, and tsunamis. . . "The key to geophysical warfare is the identification of the environmental instabilities to which the addition of a small amount of energy would release vastly greater amounts of energy." • Mass behavior control via electromagnetic manipulation of the ionosphere. . . Comment: The United States plans to own the weather by 2025. Geo-engineering, information for educators, students, citizen scientists, and researchers. November 6, 2013  The honourable straight talking Rev. James David Manning interviews Mia Marie Pope who attended school in Hawaii with "foreign student" Barry Soetero now Jewish US President Barack Obama . . . a cocaine-snorting, free-basing, crack-smoking, homosexual pervert, Mack daddy(or conspicuously successful pimp like the character in Louis Armstrong's song "Mack the Knife")and pathological liar who became rainbow POTUS thanks to the City of London's CFR and CIA. Posing here in the tailored skin of his father, the Serpent with matching high heels! Ooh la la, très chic mon petit Commander-in-Chief? Comment: His mother's son. Deuteronomy 23:2; Zechariah 9:6; the Ivy League statesman prophesied in Luke 17:28-30. In Ezekiel 36:1-15 we discover the distinction between the nation of Israel and the Gentile nations is God's Covenant with Israel. Although the Israelites have continually abused and broken that Covenant and God has chastened the nation for its wickedness, He will separate His elect "Not by might, nor by power, but by His Spirit" ministered by two Hebrew prophets in Daniel's Seventieth Week so that the nation is born-again in one day (Joel 2:18-32; Isaiah 66:8; Zechariah 3:9). Then the consummation will overtake the desolate and the desolater, natural and spiritual Esau/Edom, so that heathen hopes of taking possession of Israel's natural and Spiritual inheritance must fail (Isaiah 28:22; Daniel 9:27; Joel 2:17). In the natural type, Esau/Edom is sworn to kill Jacob/Israel. It holds dominion over the nation, impersonates the people of the Old Covenant with the objective of stealing back the birthright Esau sold to his brother for a bowl of lentils, and has turned faith in Israel to the service of mammon. These impersonators, who are accursed of God, will rule Jerusalem to the consummation (Genesis 27:39-41; Isaiah 34; Malachi 1:1-4; Romans 9:13; Daniel 9:27; Luke 21:24; Revelation 11:2). When Jacob was returning to the land of his inheritance he feared for his life and tried to broker an agreement of peace with Esau/Edom (Genesis 32-33) who held dominion. Now at the end of the Gentile dispensation Jacob must return to the land of his Covenant to receive redemption's blessings yet "for fear of the Jews" he dare not forsake the safety of the Islamic nations of the ancient Assyrian Empire where he has resided ever since the deportations thousands of years ago (Isaiah 6:10-13; 11:11; 27:13; Jeremiah 3:12, 18; 16:15; 23:8; 31:8; Ezekiel 39:27; Micah 5:3; Matthew 24:31). As Jacob once impersonated Esau in order to steal his father's blessing, today Esau is impersonating Jacob to steal material blessings in his brother's new name. And as the Esau church impersonated Israel's temple worship and adopted pagan creed and traditions in order to steal Abraham's blessing, today it is impersonating Christ's Church to steal global hegemony in the Name of our Brother, Jesus Christ. The one difference between Israel and the rest of the nations was God, and the one difference between Rome and Christianity is the birthright and blessing of Abraham. Put God to one side and Israel was like any other nation. Put the present Truth aside and the Church is no different to the denomi-nations as Samson was like any other man once he cut off his hair. Put the leadership of the Holy Ghost aside and the Church is nothing but the world with God's Name on it. The world and the Church are all of the same lump as Jacob and Esau were of the same parents; it is the Spirit of God that makes the difference. Even in the Babylonian Talmud the Judaeo-Roman Catholic church is considered Esau/Edom. According to Daniel 9:27 and Revelation 17 Rome and the International Banksters will make an agreement at the beginning of Daniel's Seventieth Week, which Rome will break in the midst of the week to force her religion upon all (Daniel 7:25; 12:7; Revelation 13). As natural Esau/Edom is impersonating and killing true natural Israelites and Semitic people generally to continue his deception, Rome is impersonating Christianity and has killed millions to force her mark of the beast and will kill many more millions in order to maintain her deception (Daniel 7:19-24; Revelation 13:14-18). Ezekiel 36:1-15 contrasts "the mountains of Israel . . . the everlasting hills" of Jacob's prophecy, with the "Mount of Seir" (Genesis 49:26; Ezekiel 35:2). In the natural as in the spiritual antitype, "the enemy [Edom] has said against Israel, Ah, even the everlasting heights are ours in possession . . . because it has a perpetual hatred and has shed the blood of the children of Israel," and laid claim to the lands of Israel and Judah since the Captivity (Ezekiel 35:5-6, 10; 36:2; Genesis 3:15). Esau/Edom is singled out as representative of the enemy of the people of both the Old and New Covenants because the trail of the Serpent entered Edom when Esau married Hittite and Canaanite wives of Cain's race, and passed into Judah when John Hyrcanus forcibly assimilated the Edomites in about 123BC. The Galileans Joseph and Mary being Judahites (not Jews) went to Bethlehem of Judaea to be taxed. Jesus was born and they sojourned there until Jewry's Edomite king Herod the Great sought to kill the Christ Child; the couple fled with Jesus to Egypt and returned to Nazareth in Galilee of the Gentiles after the king's death. The enmity of the Serpent's seed has pursued the seed of the first and last Adam from Cain to the present day (Genesis 3:15; Ezekiel 35:5; Matthew 23:33-36). As Ezekiel 36:16-38 explains, God's holiness could not permit Judah's sin to pass unpunished; His reproach was to remove her from the land of the Covenant as a woman in her legal uncleanness was separated from the congregation. Even in captivity the Israelites profaned the Name of the Lord before the heathen, by usury, oppression, adultery, etc., so in order to vindicate and manifest His Name as holy, in opposition to the heathen reproaches brought upon it by Judah's sins and her punishment, He will be sanctified in the eyes of the heathen by His righteousness in restoring the Southern Kingdom from Babylon after the seventy years captivity then restoring "the whole house of Israel. . . from all countries" in the first half of Daniel's Seventieth Week. Once physically restored to the land of the Covenant the Lord will cleanse the Judeans of their idols of covetousness, and the hypocrisy of formal outer religion and His Name will be sanctified before the heathen. Although the partial reformation at the return from Babylon was an earnest of the full renewal thereafter under Messiah, the nation was not restored at Messiah's first Coming. The two kingdoms have first to be gathered and reunited as one nation so that not a single elect Israelite remains outside the land of the Covenant (Ezekiel 37; 39:28). Two centuries before Ezekiel, Hosea prophesied this will take place in the third Millennium after the dissolution and dispersion of the Northern Kingdom. Not until then will the stony hearts of 144,000 elect Israelites be renewed by receiving the Spirit of the risen Christ (Hosea 6:1-3; Joel 2:28-32; Isaiah 66:8; Ezekiel 39:29; Zechariah 12:10  13:9). One undivided nation called Israel has been established since 1948, but this is a product of political Zionism. Ezekiel 37:7-9 indicates the emigration of the descendants of the twelve tribes will be precipitated by the earthquake that cleaves the Mount of Olives at the close of the Gentile dispensation, destroying the Dome of the Rock, igniting the "hot" stage of World War III and stirring an exodus of genuine Semitic blood Israelites from their Muslim host nations to the land of the Covenant because in the providence of God, His enemy and the enemy of Jacob/Israel planned this war between the political Zionists and political Islam (Ezekiel 38:19-23). This agrees with Zechariah 14:4-5, Revelation 7:1-2, Ezekiel 37:9 and Matthew 24:31. A lesser number of Israelites will also emigrate from the (once) Christian nations. So "All things work together for good to those who love the Lord and are the called according to His purpose" (Romans 8:28). Ezekiel traces the history of Israel from the Shekinah's departure from king Solomon's temple "made with hands" when the Lord turned His face from Judah at the beginning of the "times of the Gentiles" in chapter 10. He prophesies Judah's partial return to the land preparatory to Messiah's first Coming and the establishment of the New Covenant in Ezekiel 36, however the Ark of the Covenant and the Shekinah did not return when the temple was restored by Zerubbabel or when it was beautified by their Edomite king, Herod, but took their abode in a "more perfect tabernacle not made with hands" but virgin-born (Matthew 3:16-17; Hebrews 9:11). When Israel crucified this Ark and Temple at the end of Daniel's Sixty-ninth Week, the Lord again turned His face from the nation, and the Shekinah has shone His glory throughout the world resident in the Temple of Christ's Bride (Acts 2:1-4; Matthew 28:18-20), while Israel has been "punished seven times more for her sins" and received "seven times more plagues" under Seven Trumpet judgments (Leviticus 26:18, 21; Revelation 8:7  9:21, 11:15  19). The fact that Jacob's two wives, Leah and Rachel, are spoken of as "building the House of Israel," of necessity divides the immediate household of Jacob into "two families." In Jeremiah 33:24 they are spoken of as "the two families which the Lord hath chosen." The Covenant promise of the BIRTHRIGHT was given to one of these families, and that of the SCEPTRE to the other family. Rachel was to be the mother of "thousands of millions" while Leah was to be the mother of royalty. Genesis 49:10 shows us that Judah represents the SCEPTRE family; and I Chronicles 5:2 tell us "THE BIRTHRIGHT is Joseph's." Never try to apply a BIRTHRIGHT blessing to the Judahites. Judah was excluded from the BIRTHRIGHT promises, Joseph from the SCEPTRE. The BIRTHRIGHT people are not, and are never in the Scriptures called Jews. In Ezekiel the 37th chapter we are told that "the two sticks" which are still separate, but which are yet to be reunited, represent Judah on the one hand, and Joseph and the "House of Israel" on the other. One of these sticks represents the SCEPTRE people and the other the BIRTHRIGHT people. Judah, the inheritor of the SCEPTRE, is only a half bother to Joseph, the inheritor of the BIRTHRIGHT. The SCEPTRE and the BIRTHRIGHT inheritors are "two families" with different mothers. How could the distinction between the SCEPTRE and the BIRTHRIGHT families Judah and Israel be more emphatic? The prophet Balaam could only speak in God's Name what the Holy Spirit revealed to him. He could not curse what God had blessed, or bless what God had cursed. What then is the spirit on ministers in the circle of this Message that has enticed them to bless what God has cursed? Esau's deadly enmity is accentuated by the fact Iranians are Semitic, and more Semitic Israelites live in Iran than in any other Middle Eastern state, including perhaps even Israel. Race differences are an integral part of the new feudal system in modern Israel where non-Ashkenazim are disdained. Edom assimilated with Judah before the birth of Messiah; their Khazar cousins assimilated in AD740, so that very few so-called Jews "are Israelites to whom belongs the sonship, the glory, the covenants, the giving of the Law, the worship, and the promises; whose fathers are the patriarchs, and of whom as concerning the flesh Christ came" (Romans 9:4-5). Miscegenation has all but annihilated the pure lineage of Judah and Benjamin; however the ten tribes of the house of Israel have been saved from Esau's vendetta by their isolation in Semitic Muslim lands. His medieval Crusades did not accomplish their objective, and he is hoping the present Crusade by colonial troops of "the City" will satisfy his bloody oath (Genesis 27:41). Thousands of small children belonging to Sephardic Jewish immigrants to Israel were seized; thousands of Yemeni children were used in cruel medical experiments in Israeli hospitals, and radiation experimentation at Dimona in behalf of the United States. According to the Talmud, "Five things did Canaan charge his sons [in his last will]: love one another, love robbery, love lewdness, hate your masters, and do not speak the truth" (Peshachim 113b). As Benjamin Disraeli said, "No one must lightly dismiss the question of race. It is the key to world history and it is precisely for this reason that written history so often lacks clarityit is written by those who do not understand the race question and what belongs to it. Language and religion do not make a race, only blood does that." Political correctness and compromise hide the fact there are two races on this earth: God has placed enmity between the accursed descendants of Cain and the children of Adam, and the enmity is extant (Genesis 3:15). If you see this you will understand why the majority of mankind has no kinsman Redeemer, why miscegenation is accursed of God, and why blood Israelites are marked for destruction by the leaders of those who are their impersonators. The Lord's Supernatural intervention in the "hot" stage of World War III will preserve the dispersed Israelites and force an election back to the Homeland in the midst of their enemy. There in spite of persecution the Message of their two prophets will expound such Scriptures as Isaiah 11:11-16, Ezekiel 38-39 and Daniel 11:36-45, and bring them to the birth, after which enemies "in the house of their friends" will kill them like they killed Messiah before them (Daniel 12:10; Revelation 6:11; 14:12-20). However, the full accomplishment of Isaiah 18:7 is still in the future as Zephaniah 3:8-10 prophesied 100 years later, "The Lord says to the pious Judeans amidst all of the punishments upon their nation, Wait patiently upon Me, and look forward to the glorious time of restoration to be ushered in when I stand up as a witness: for My verdict is to gather all nations and assemble all kingdoms [against Jerusalem  (Zechariah 14:2)]. To pour My indignation upon them (Joel 3:2; Zechariah 12:2, 3), all the heat of My fierce anger: for all the earth shall be consumed by the fire of My jealous wrath. Then [as a result of My Supernatural intervention]) I will change the speech of [an election of] the people to a pure language, that they may all call upon the Name of the Lord, to serve Him with one mind (Isaiah 19:18). [Confusion of languages and understanding was the penalty of sin (Genesis 11:7). The gift of the Holy Spirit at Pentecost enabled proselytes from every nation to "hear in their own tongue what was spoken in Galilean" (Acts 2:6-11) in earnest of a future restoration of the earth's unity of language and heart. God will gather the elect Israelites to Jerusalem for their redemption. I believe this "one language" refers not to natural speech and hearing but to a clear revelation of the common faith by the teaching of the Holy Spirit through the anointed Message of Israel's two witnesses]. From beyond the rivers of Ethiopia they will bring My suppliants [burners of incense, a metaphor for revelation (Psalms 141:2; Revelation 5:8; 8:3, 4)], the daughter of My dispersed ones [i.e. a portion of the 144,000 elect Israelites], as a present for Me". This brings to mind the antitype and full accomplishment of Isaiah 18:5-7 portrayed in Ezekiel 38:3-6, 39:2-5, "Thus saith the Lord God: I am against you, Gog, chief prince of Meshech and Tubal. I will put hooks into your jaws and pull you to your doom with your whole army, horses and horsemen, all clad in full armour, a great company with buckler and shield, and welding swords: Iran, Ethiopia, and Libya with them; all of them with shield and helmet: Gomer, and all his bands; the house of Togarmah of the north quarters, and all his bands: and many people with you. . . I will turn you around and drive you from the distant north and lead you against the mountains of Israel. And I will strike your bow from your left hand, and cause your arrows to drop out of your right hand. You shall fall upon the mountains of Israel, you, and all your hordes, and the people that are with you: I will give you to the birds of prey, and wild animals will devour you. You shall fall in the open field: for I have spoken it, says the Lord God". Isaiah 18:7 says, "in that time"under the Seventh Trumpet and Sixth Seal, following the Supernatural defeat of Gog's armies144,000 elect Israelites, some from Ethiopia, will be gathered to Jerusalem "as a present or offering to the Lord," acceptable, being sanctified by the Spirit through the ministry of His two prophets (Zephaniah 3:11-20; Revelation 12:17). Isaiah 66:18-20 also speaks of the ingathering of blood Israelites (as distinct from non-Semitic self-styled Jews) mainly from Muslim countries that once formed part of the Assyrian Empire (Jeremiah 3:11-25; 16:15; 2:8; 31:8), from both the African and Babylonian Cush where they dwelt in Apostolic days (I Peter 1:1; 5:13). "I will gather all nations and tongues against Jerusalem; where they shall see My glory. And I will perform a mighty miracle against them, and I will send those who escape death to the nations, to Tarshish, Pul, and Lud, that draw the bow, to Tubal, and Javan, to the lands beyond the sea, that have not heard My fame, nor seen My glory; and there they shall declare My glory among the Gentiles. And they shall bring back all of your Israelite brethren from every nation for a present or offering to the Lord. They shall return upon horses, and borne in litters, and on mules, and camels, to My holy mountain, to Jerusalem, says the Lord, as the children of Israel used to bring their cereal offering in a clean vessel to the house of the Lord". Isaiah 27:12-13, "In the day of the Lord He shall beat off the dispersed blood Israelites as fruits shaken or beaten from trees with a stick like olives and gather them, not merely as a nation, but as elect individuals, one by one, from His vineyard which extends from the border of Assyria at the Euphrates River in the north-east to the Waddi-el-Arish at the border of Egypt in the south-west. In that day the great trumpet will be blown, and those perishing in the land of Assyria and the outcasts in the land of Egypt shall worship the Lord in the holy mountain at Jerusalem" (Isaiah 11:16; 19:23). Representing you as Christ's end-time Bride, John saw a vision set at the Seventh Trump when God will restart the clock for Daniel's Seventieth Week. In Revelation 11:19 we see the Ark of God's Testament in the Holy of Holies of the heavenly temple, signifying God's renewed favor towards and presence with Israel. His face will never again turn from the nation, and the way into His Presence is open to every Israelite through the riven veil of Messiah's crucified flesh. This signifies that the work of atonement is accomplished and discloses the true testimony of the New Covenant. These Old Testament symbols portray the revelation of the 144,000 elect Israelites who will see not an Ark of shittim wood overlain with Gold and shadowed by two angels of gold, but its antitype, the glorified risen Messiah revealed by the three and a half year ministry of two Hebrew prophets endued by the Spirit that empowered Moses and Elijah of old (Zechariah 4; Hebrews 11). Jeremiah 3:15-16, "I will give you shepherds according to My own heart, who will feed you with knowledge and understanding. And when you are multiplied and increased in the land, in those days, says the Lord, they shall no more say, The Ark of the Covenant of the Lord: it shall not come to mind because they will not remember it or miss it, for it shall not be reconstructed." So much for Israeli government and Seventh Day Adventist propaganda. Ezekiel 37 prophesies the political restoration of the present Israel state and the imminent return of the Israelites following the Sixth Seal and Seventh Trumpet. Then God will set the land apart as holy unto Himself and inviolable (Exodus 19:5-6), so when Jerusalem is invaded in chapters 38 and 39 He will defeat the enemy on the mountains of Israel by a Supernatural assault of nature. And during the first half of Daniel's Seventieth Week, His two prophets will be empowered to invoke natural convulsions to destroy their enemies, sanctifying His Name among heathen and Israelite alike (Revelation 11:6). Ezekiel 37:28 promises eternal blessings when the nation is born-again, and transports us beyond "the times of the Gentiles" to the Millennium where the Kingdom is restored to Israel (Acts 1:6) and the 144,000 is His Temple. Ezekiel 38:1-7, "The Word of the Lord came to me: Son of man, set your face against Gog, of the land of Magog, the chief prince of Meshech and Tubal, and prophesy against him. Say, Thus saith the Lord God; I am against you, Gog, the chief prince of Meshech and Tubal. I will turn you around, and put hooks in your jaws and lead you out with your whole army, horses and horsemen, all clad in full armour, a great host with bucklers and shields, all of them wielding swords: Persia, Ethiopia, and Libya with them; all of them with shield and helmet: Gomer, and all his hordes; the house of Togarmah and all their troops from the north and many people with you. Prepare, and hold yourself in readiness, you, and all you're host mustered around you, you are their commander". The Lord God calls upon Ezekiel to prophesy against Gog, leader of Magog (Russians, Byelorussians and Ukrainians) and chief prince of her allies, Gomer (Turkey), Togramah (Armenia), Meshech (Assyria) who fathered the Poles, Finns, Czechs, Yugoslavs and related groups, and Tubal (Georgia), father of the Bulgarians, Hungarians, Albanians, Romanians and related groups. These nominally Christian nations have suffered oppression and the massacre of scores of millions by the hand of the non-Semitic anti-Semitic self-styled Jews. Led by their Khazar oppressors who are at enmity with the children of Jacob and Adam's race in general, they will be joined by Muslim Persia (Iran), Ethiopia and Libya. Ezekiel 38:8-13, "Many years hence you will be called up for service: at the end of years you will swoop down into Israel, that will be lying in peace after the nation has been restored to statehood from war and is occupied by people now living in security, all of them brought together from the nations in the mountains of Israel, which had been a perpetual waste. You and all your hordes will roll down upon them like a storm and cover the land like a cloud. Thus saith the Lord God; at that time an evil thought will come to your mind. You will say, I will march against the land of unwalled villages, and fall upon these people living in such confidence, without walls, or bars or gates. And I will seize booty and carry it away as plunder, assailing the waste places now inhabited and the people who were gathered from the nations, who have gotten cattle and goods, and who dwell at the center of the Earth. Sheba, and Dedan, and the merchants of Tarshish and all its villages will ask, Have you come to seize spoil? Have you assembled your forces to take slaves, to carry away silver and gold, to take away cattle and to seize goods"? At the end of the Gentile dispensation Russia and her Muslim allies will attack Israel, living in overconfident careless security. Sheba (Yemen) and Dedan (United Arab Emirates), and the merchants of Tarshish (a colony of Tyre in southern Spain), though not taking an active part against Israel, are well pleased to see others do it, and ready to deal in the ill-gotten spoil of the invaders. Gain is before godliness with these mercantile peoples, and as a secondary thought Russia will purpose to lay claim to the mineral riches of the Dead Sea. Ezekiel 38:14-23, "Therefore, son of man, prophesy. Say to Gog, Thus saith the Lord God: On that day when My people Israel are dwelling in security, you will bestir yourself and come from all over the far north with your vast host of cavalry and cover the land like a cloud. It shall be in the latter days that I bring you against My land, so that the nations will know that I am God, when through you, Gog, I vindicate My holiness before their eyes." "Thus saith the Lord God; Are you he of whom I have spoken in old time by My servants the prophets of Israel, who in those days prophesied for years that I would bring you against them? And on the day when Gog comes against the land of Israel, says the Lord God, My fury will be roused. For in My jealousy and in My blazing indignation I have spoken: surely in that day there shall be a great shaking in the land of Israel; the fish of the sea, and the birds of the air, the beasts of the field, and all creatures that creep upon the ground, and all the men that live on the face of the earth, shall quake at My presence. The mountains shall be thrown down, and the cliffs shall fall, and every wall shall tumble to the ground. I will call for a sword against him throughout all My mountains, says the Lord God: every man's sword shall be against his brother (Haggai 2:21-23; Zechariah 14:4, 10). With pestilence and with bloodshed I will enter into judgment with him, and I will rain upon him, upon his hordes and the many people that are with him, torrential rain, accompanied by hailstones, fire, and brimstone. Thus I will manifest My greatness and My holiness and make Myself known in the eyes of many nations, and they shall know that I am the Lord". It is the predictions of earlier prophets (such as Isaiah 34) in allusion to the victory of God's Kingdom over the natural and spiritual Serpent's seed that accord with the matter at hand. Once again God prophesies against Russia, saying He will glorify His Name before the heathen through His victory without hand. As Judge He will "plead" with the nations on the principles of His own immutable justice to maintain His righteous cause (Isaiah 66:13-16; Joel 3:1-2) and the invading horde will be destroyed "in the mountains of Israel" by this Supernatural upset of nature. So the "hot stage" of the brief World War III will not be a nuclear holocaust but earthquakes and volcanoes "in divers places". There are six holocene volcanoes in Syria, that is, six volcanoes that have been active since human civilization. The Golan Heights and Hauran Plain which extend north east almost to Damascus are scattered with dormant volcanoes and cinder domes and contain a crater lake. Es Safa in southern Syria, north-east of the Jabal ad-Duruz volcanic plateau, consists of a basaltic lava field covering an area of 220 square kilometers that contains at least 38 cinder cones; a boiling lava lake was observed in this area in the mid-nineteenth century. This volcanic field lies within the northern part of the massive alkaline Harrat Ash Shamah volcanic field that extends from southern Syria, through eastern Jordan to Saudi Arabia. The region is extremely scarce in water and is visited only occasionally by roaming Bedouins and archaeologists. This local information enables us to understand what Brother Branham meant when he said, "That's where the New Jerusalem will break up right there. . . the Mount of Olives shall cleave part to the right and left when she pushes up from the beneath. Now, if they said pushing apart like thisit's pushing up, in that day when He stands, His holy feet upon the mountain. . ." (Future Home of the Heavenly Bridegroom and the Earthly Bride, p. 49:406; Zechariah 14:4-11). 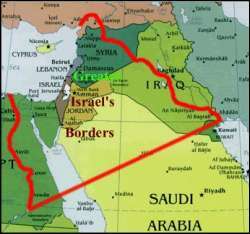 The rift valley that extends from Africa to Syria will open, allowing the 1,500 mile high Mount Zion will arise. Ezekiel 39:1-8, "Son of man, prophesy against Gog and say, Thus saith the Lord God; I am against you, Gog, chief prince of Meshech and Tubal: And I will turn you around and drive you on to leave the extreme north so as to bring you to the mountains of Israel, then I will smite the bow out of your left hand and make your arrows drop out of your right hand. You and all your vast armies will die upon the mountains of Israel: I will give you to the birds of prey of every sort, and to the beasts of the field to be devoured. You shall fall in the open field: for I have said it, says the Lord God. And I will send fire on Magog, and among those who dwell in self-confident security in the coastlands: and they shall know that I am the Lord. So will I make known My holy Name in the midst of My people Israel; and I will not let them profane My holy Name any more: and the heathen nations shall also know that I am the Lord, the Holy One in Israel. Behold, it is coming! It shall be done, says the Lord God; this is the day of which I have spoken". Ezekiel 39 supplements the previous chapter, adding further definition to the same picture. As God hardened Pharaoh's heart He will harden Gog's heart and drive Judaeo-Communist Russia to lead a number of Muslim countries to invade "the mountains of Israel" where they will be defeated without hand to vindicate His holy Name. The left hand holds the bow, the right hand bends it and fits on the arrow, yet it does not even come to an attack because the Lord "calls for a sword against him throughout all My mountains" (Ezekiel 38:21). This ignominious defeat will be a "hook in Gog's jaw" driving him to "nuke" Vatican City State, the United States and her apostate once Protestant church after Rome breaks her covenant in the midst of Daniel's Seventieth Week, igniting Armageddon. As God raised up king Nebuchadnezzar to destroy apostate Judah He has raised Judaeo-Communism to destroy the false church. The fight is the Lord's, whose "sword" includes earthquakes and volcanic eruptions in Russia and the Kuril islands, which are littered with holocene volcanoes, some of which erupted only last year, with Klyuchevskaya spewing ash more than four miles into the sky. Tectonic retaliation will come upon the lands and maritime regions of Gog's sympathizers (Revelation 16:19-21) who have provided ships and troops so that the whole world will know Israel has been judged for her sins and must not be further punished. The cleaving of the Mount of Olives will be coincidental with the sinking of Los Angeles, which Brother Branham said, "will be worse than the last day of Pompeii"men's hearts fail them for fear of nuclear war with distress between the nations and perplexity on account of the sea and the waves roaring with "great tidal waves everywhere" (Zechariah 14:4; Revelation 18:21-24; Luke 21:25). Ezekiel 39:9-16, "Then those who dwell in the cities of Israel will go forth and make fires of their weapons, the shields and bucklers, bows and arrows, the handpikes, and spears. For seven years they shall burn them so they will not gather wood from the fields or cut down any out of the forests; for they will make fuel of the weapons: thus they shall despoil those who despoiled them, and plunder those who plundered them, says the Lord God." "On that day, I will give Gog a place for burial in Israel, the Valley of the Travelers on the east of the [Dead] sea. It will block the road for all who travel that way; for there Gog and all his multitude will be buried: it will be called 'The Valley of Hamongog.' For seven months the house of Israel will be burying them, so that the land may be thoroughly cleansed. All the people of the land will be burying them; it will bring them renown on the day that I show My glory, says the Lord God. They will set apart men of continual employment, to traverse the whole land searching for those who remain upon the face of the earth, to bury them and so cleanse the land: they will begin their search at the end of seven months. As they pass through the land and one notices human bones, he shall set up a sign by it, till the buriers have buried it in the Valley of Hamongog. A city named Hamonah (or "Multitude") is there. Thus they shall cleanse the land." After Russia's devastating defeat, the Israelites will spend seven years cleansing the land of weapons intended for their destruction and spend seven months burying the bodies where they fell. So vast is the mass that only a deep valley will suffice for their corpses. 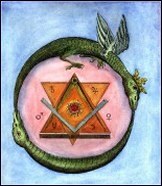 The seven years and the seven months imply completeness of cleansing and the Israelites' zeal for purity. How different from the ancient Israelites, who left not merely the arms, but the heathen themselves, to remain among them (Joshua 9; Judges 1:27-28; 2:1-3; Psalm 106:34-38), and forcibly assimilated Edomites, Khazars and their kin. Although it was their God who delivered them from death and sent destruction upon their enemies, the house of Israel will become famous because they bury the invader rather than the reverse. Whereas Israel formerly defiled the land with their abominations, having wrestled with God and prevailed, they now diligently cleanse the Land. The discarded weaponry is doubtless cherem and dedicated to destruction for the glory of the Lord. Ezekiel 39:17-20, "As for you, son of man, thus saith the Lord God; Speak to the birds of every feather, and to all the beasts of the field, Assemble and come; gather from every quarter to the great sacrificial feast which I am preparing for you upon the mountains of Israel, and you shall eat flesh, and drink blood. You shall eat the flesh of warriors, and drink the blood of the princes of the earthof rams, of lambs, of goats, and of bulls, all of them fatlings of Bashan. You shall eat fat till you are glutted, and drink blood till you are drunk, at the sacrificial feast which I am preparing for you. You shall be sated at My table with horses and riders, warriors and soldiers of every sort, says the Lord God." All the warriors are likened to sacrificial animals. When the world is sacrificed for Israel, the nations will recognize God's power, and Israel His Lordship. Before all of the dead can be buried the birds and beasts will feast on their remains at the battlefield of the Lord's Table. In his sermon, Proving His Word, the Prophet placed this event in the sequence of end time prophecy: "Now, remember, that was not Jesus talking to Abraham there that could discern the thoughts in Sarah's mind behind him. That was not Jesus; He had not yet been born. But it was a Man in human flesh, that Abraham called "Elohim, the great Almighty," . . . And Jesus said, "As it was in the days of Sodom," now watch close, "in the days of Sodom, so will it be at the [parousia] Coming of the Son of man, when the Son of man is being revealed." Not no more as a church (See? ), not no more; [now] the Bride is [being] called. See? "In that day the Son of man will be revealed." What? To join the Church to the Head, unite, the marriage of the Bride." 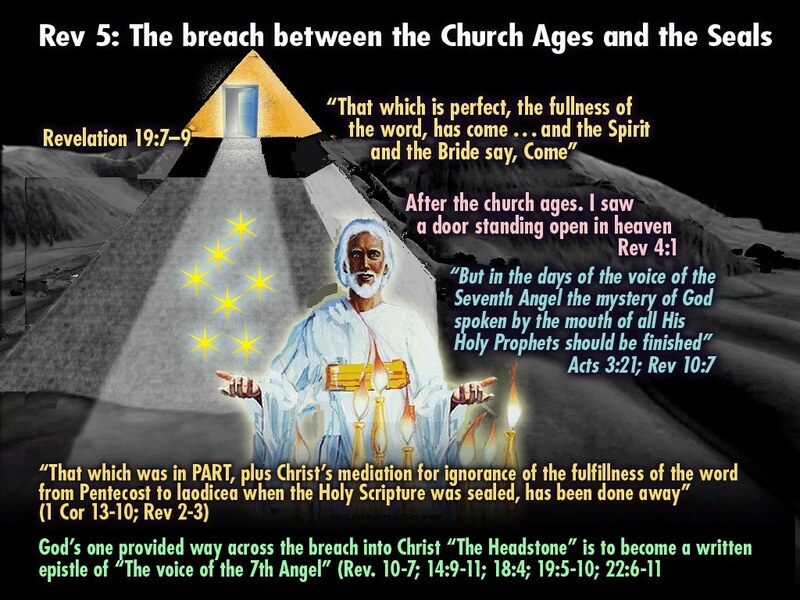 So long as the Book was closed Christ was a Mediator for the ignorance of the fullness of the Word, but when the last saint predestinated to His PART-Word Bride was sealed, the Church Ages ended and Christ's Mediation was fulfilled. As His end-time Bride and the 144,000 elect Israelites are predestinated to receive the fullness of the Word we do not require mediation and were fully redeemed in Christ on Calvary. Redemption is over; when Jesus fulfilled Revelation 4, 5 and 10:1-6, the revelation of the Seven Seals brought Him back to earth in W_O_R_D Form through the mouth of His Prophet (I Corinthians 13:10; Revelation 10:7). Christ is the Word, His end-time Bride must also be the Word, not mediated PART-Word. The revelation of the Seals calls His end-time Bride into "the unity of the faith" making us one with the Word as will be vindicated by the 'third pull' in "the manifestation of the Sons of God" to instill grace for translation faith (Ephesians 4:13; Romans 8:19). The Hebrew saints will acknowledge this when they recognize Christ's 'parousia:' "Let us be glad and rejoice, and give honour to Him: for the marriage of the Lamb has come, and His wife has made herself ready. And it was granted that she should be arrayed in fine linen, clean and white: for the fine linen is the righteousnesses of saints" (Revelation 19:7-8). Throughout the Book of Revelation John represents you, Christ's end-time Bride; we know this because the Seals were not revealed until the Church Age saints were all redeemed. Revelation 4:1-2, "After the Church Ages were fulfilled I looked, and saw a door standing open in heaven: and the Voice I had first heard speaking to me like a trumpet (Revelation 1:10), said, Come up hither, and I will show you things which must take place after the Ages of intercession for PART-Word. Instantly I was in the Spirit and saw a throne in heaven, and One (not two or three) seated on the throne" (Matthew 28:18; I Corinthians 15:25; Hebrews 2:8; Revelation 3:21). The "shout" of I Thessalonians 4:16, which is the "midnight cry" of Matthew 25:6 confirmed by the heavenly "Voice" of Revelation 18:4, is the revelation that sealed you into the Capstone of the Body, separated from the nominal church and instantly raptured into the Spirit in the day of the Lord. Looking back through time into man's day, the Lord confirms your position in Christ and in the sequence of end time prophecy. The Body of the Church is made up; you are part of the Head and must be one with the Word. Aside from this revelation of history you will not encounter the PART-Word Church again until the resurrected saints appear to you following the manifestation of the Sons of God to supercharge your faith for the body change. And Israel will not identify the true Church until their revelation of Christ's 'parousia' Coming to them after the three Woes, Seven Seals, Seven Vials, Seven Trumpets, the casting out of Satan, the tribulation, the breaking of Rome's covenant with the Jews, and God's judgment of Rome. In Revelation 19 we see a preview of Israel's revelation of their King and Queen, returning to slay the sinners, purge earth for the Millennium, and bind Satan until the general resurrection. The Prophet continued, "The Bridegroom call will come right through this, when the Son of man will come down and come in human flesh to unite the two together. The Church has to be the Word; He is the Word, and the two unites together, and to do that it'll take the manifestation of the revealing of the Son of man. Not a clergyman. . . Do you see what I mean? See, it's Son of man, Jesus Christ, will come down in human flesh among us, and will make His Word so real that it'll unite the Church and Him as one, the Bride, and then she'll go Home to the wedding supper. Amen. She's already united (See? ); we go to the wedding supper, not to the marriage. "Fill yourself of all the flesh of mighty men, 'cause the marriage of the Lamb has come" [Ezekiel 39:17-20  Ed]. But the rapture is going to the wedding supper. When the Word here unites with the person, and they two become one, and then what does it do then? It manifests the Son of man again, not the church theologians, the Son of man. The Word and the Church becomes one. Whatever the Son of man done, He was the Word, the Church does the same thing" (Proving His Word, p. 44:236; Revelation 22:17). Ezekiel 39:21-29, "Thus will I manifest My glory among the nations, all nations shall see the judgments that I execute, and My hand which I have laid on them. From that day onwards the house of Israel shall know that I am the Lord their God. And the nations shall know that the house of Israel went into captivity for their iniquity: because they dealt so treacherously against Me, I hid My face from them, and gave them into the hand of their adversaries; and they all fell by the sword. I dealt with them according to their uncleanness and their transgressions, and hid My face from them." "Therefore thus saith the Lord God; Now I will end the captivity of Jacob, and have mercy on the whole house of Israel, and I will be jealous for My holy Name. They shall forget their shame, and all the treachery they have practiced against Me, when they are settled and undisturbed in their land, when I have brought them back from the peoples, and gathered them from their enemies' lands, and through them have vindicated My holiness in the sight of many nations. Then they shall know that I am the Lord their God because I caused them to go into exile among the nations, and then gathered them into their own land. I will not leave a single one of the (144,000 elect) among the nations. Neither hide My face from them any longer: for I have poured out My Spirit upon the house of Israel, says the Lord God". The nations shall see the Lord's judgments before their very eyes (Ezekiel 38:23), and know that their power over Israel was Israel's guilt as defined in Ezekiel 14:13. In consequence of Israel's unfaithfulness Jehovah hid His face (Deuteronomy 31:17) and abandoned them to chastisement in the interest of righteousness. The phrase is to be understood in terms of the Aaronic blessing (Numbers 6:24-26) in which it is asked that God might look upon His people (Ezekiel 4:3). Seeing the reproach of their unfaithfulness and recognizing His holiness, Israel acknowledges itself deserving of punishment. Those who belong to Israel will know that He is their God, and having manifested Himself in such a final judgment the relation is one that cannot be disturbed, and He will render Israel triumphant over every form and agency of evil. The outcome of the "hot stage" of World War III that initiates Daniel's Seventieth Week and vindicates God's Presence with Israel announces dire consequences to any unbelieving nation or individual entertaining malicious intent. Since World War III was planned in the mid-nineteenth century as a controlled conflict between political Zionism and political Islam, this Supernatural intervention, demonstrably greater than the miraculous opening of the Red Sea which wrought salvation to the children of Israel and overthrew Pharaoh and his army, will hearten the descendants of the Northern and Southern Kingdoms to hastily return from the Muslim lands of their exile where they will be persona non grata like their forebears in Egypt following the death of the firstborn. Note here Ezekiel agrees with Hosea 6:1-3; Psalm 17:7; Isaiah 6:10-13; 11:11-16; 13:14; 27:12-13; 49:17; 65:9-10; Jeremiah 3:12, 18; 16:15; 23:3, 8; 31:8; Ezekiel 28:24-31; 36:24; 37:14, 21-22; 39:27-28; Micah 5:3; Zechariah 10:9-12; Matthew 24:29-31 and many other scriptures that confirm the 144,000 elect Israelites of the twelve tribes will not return to the Land of the Covenant until the first half of Daniel's Seventieth Week. In the Homeland the Lord will deal in "mercy upon the whole house of Israel," which He cannot do until they have all returned from the Gentile nations to that tiny geography outside whose borders His Covenant with the natural descendants of Abraham, Isaac and Jacob is of no effect. Here an election of 12,000 from each tribe will receive the Message of God's prophets and be gloriously reborn as a nation in one day (Isaiah 10:17; 66:8). This ministry described in Ezekiel 40-48 will restore the theocracy after which the disciples of our Lord enquired prior to His assumption (Acts 1:6). This will be the ministry of restitution foretold in Isaiah 11:10-11, Joel 2:18-32, Amos 9:11, Acts 3:19-26, etc, that re-instructs them in holiness as the sanctuary wherein Christ and His Bride shall dwell through the Millennium (Malachi 4:4). The Shekinah takes its abode in this "Millennium temple" of the 144,000 when Israel becomes one with the water of Life in Ezekiel 47, then in Ezekiel 48 we see the nation restored to tribal order. Ezekiel's apocalyptic sketch is considerably less detailed that the Revelation of Jesus Christ to His end-time Bride. Gog is anti-Israel but not the anti-Christ; the anti-Christ will be the false prophet and incarnate beast of Rome who will appear to save Israel from Gog, restore world peace and prosperity, and honour the vision of Israel's Illuminus first prime minister, David ben Gurion, by establishing Jerusalem as the capital of Lucifer's totalitarian global government, and "build a shrine of the prophets to serve the federated union of all continents; this will be the seat of the supreme court of Mankind, to settle all controversies among the federated continents" (Look Magazine, January 16, 1962). Like Cyrus and Artaxerxes before him this "king of the Jews, the real Pope of the Universe, the Patriarch of the International Church" (Protocol 17:4) will probably restore certain temple treasures perhaps even the golden menorahand contribute materials and funding for the temple. Ezekiel does not portray these details, nor does he mention the agreement Rome will strike with the International Jews, its abrogation and the martyrdom of the elect Israelites. He is silent on Russia's invasion and later atomic devastation of both the United States and the Vatican. Ezekiel 38-39 appear to span the whole of Daniel's Seventieth Week; in the first half the victims are buried, however, in Ezekiel 39:17-20 which is identical to Revelation 19:11-21 in the second half, there is no burying, neither there can there be because of radiation, disease and the consummation of life.